The FY 2016 Budget deal just announced by Massachusetts’ s legislature gives the Governor almost all of what he wanted. It’s even more a tremendous victory for House Speaker Robert DeLeo, who early on backed almost all of the Governor’s agenda and secured enactment of everything that he backed. 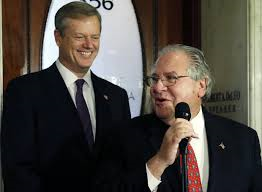 Into the budget DeLeo placed the MBTA reforms that he and the Governor supported and thereby managed to get them past the State Senate’s quite different MBTA legislation. The $ 38.1 billion budget adopts several principles that probably would not have passed but for Governor Baker having won the 2014 election : no new taxes or fees; expansion of the earned income tax credit; and MBTA reform that establishes both a Fiscal Control Board with power to direct the entire MBTA operation and a three-year set-aside of the Pacheco Law (which mandates that the State Auditor must first approve any proposed MBTA outsourcing). Baker deserves great political credit for advancing these principles clearly, for sticking to them, and for persuading the public to support them. This is how governance should work. 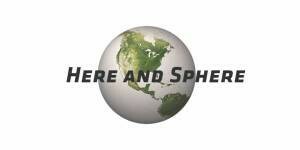 So : how did we get here, and what comes next ? The first — how did we get here — is quite the story. That the Governor and Speaker allied their goals so closely, and that the Speaker was able to win unanimous (!) support in the House for these goals, results almost certainly from the leadership challenge raised months ago by Senate President Rosenberg. The Speaker responded to that challenge forcefully in a Boston Globe op-ed, and by persuading the House that its authority as a body was at stake : how else did he get the House’s “progressives” to vote for a budget featuring no new taxes and fees, when new taxes are one of Massachusetts Progressives’ top goals ? Equally, DeLeo “triangulated” : by allying with the Governor and bringing his entire body of 160 members with him, he outgunned the Senate and isolated it. This, despite the Senate’s brilliant “Massachusetts Conversations” Forums held all across the State and well attended, as well as fully reported in the media. As for what comes next, a separate Transportation bill is working through legislative committee processes and will probably be voted upon within a month. Hopefully that bill will reinforce the powers granted to the Fiscal Control board by the Budget agreement. Changes to the MBTA’s collective bargain arbitration system may portend : the T’s unions are the only public worker groups in the State whose contract arbitration awards do not require approval by an elected body. As for the T’s pension system, reform of its accounting system are already under way., led by former Governor candidate Steve Grossman, who understands the T pension as well as anyone. 2.Inventory foremen need to be bonded personally liable for missing inventory. 3.The equipment repair shops need to be performance monitored and evaluated quarterly. 4.Unexcused absences must be subject to discipline set forth in an employee handbook that every worker (including salaried) must sign for and admit to having read in full. 5.All T employees should be expected to work diligently, to treat the public with courtesy always, and to work as a team, monitoring each other’s performance. Merit pay raises need to be written into any new Carmen’s Union contract. 6.Mini-buses need be called into service for low-ridership runs. 7.Only after every reasonably feasible efficiency has been put in place, and the riding (and taxpaying) public has been convinced that the T has changed, can there be new revenue for expansion of the system, for purchase of new trains and buses, and for wage raises for employees who meet stated performance objectives.. The above reforms should help give Boston an MBTA that works for those whom it is supposed to serve. And now, a caution : by no means should T reform be an arena for union-busting, any more than it should be a call for union stubbornness. It does the Carmen no favor to pit themselves against everybody else in the State, nor does it do the economy of the State any good to call for an end to the Carmen’s wage protections. The Carmen do a difficult job as it is, and they will be called upon to do a job still more burdensome. They should be rewarded financially for doing that job, if they do do it; not punished or demonized. Breaking the union is not a goal of the Governor. It certainly is not on the Speaker’s task sheet. Those who advocate it — and I see them commenting all the time in social media — need to back off and rethink what they are about. Likewise union intransigence — and I see this, too, in social media — will not stand either. The public isn’t having it. Extremism has become almost the norm in today’s internet-real time political discourse. I reject it. The legislature has rejected it. The budget and T reforms it has agreed to have not aced the challenge, but they are have enabled us to get there. That is good enough for me, and it should be good enough for you. Previous PostWHY A POLARIZED AMERICAN ELECTORATE MATTERSNext PostWHY IS THE BOSTON OLYMPICS BID EVEN CONTROVERSIAL ? site conations actually good comical data as well.